Did you hear those free ball knocks???? 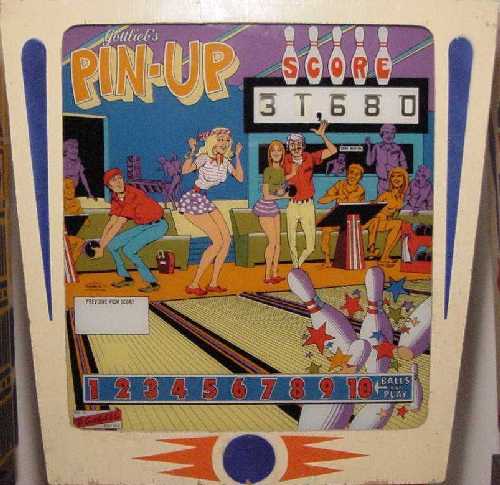 King Pin was always one of my favorite games. I bought this Pin Up which is the add-a-ball version. 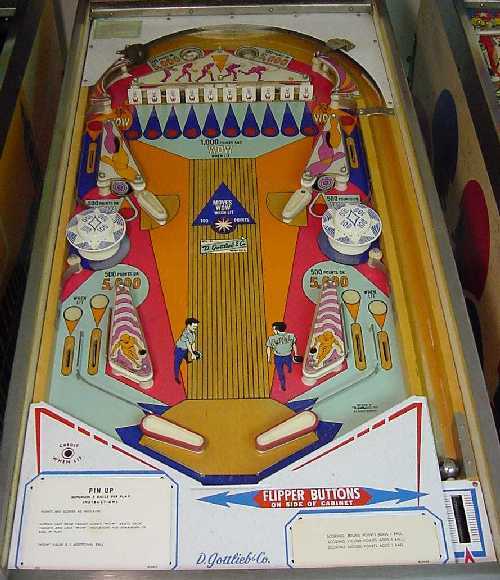 It is even more fun than the King Pin because when you have a good game, you can play forever by hitting the WOW target. I once had 500,000 points with 10 balls to play. This game was in my family room with the Super Soccer until I bought the Old Chicago. Dave bought a Chicago Coin Red Baron from a Dealer.